I have a client that I love working with and she contacts me to help design printables for all of the special events in her families lives. 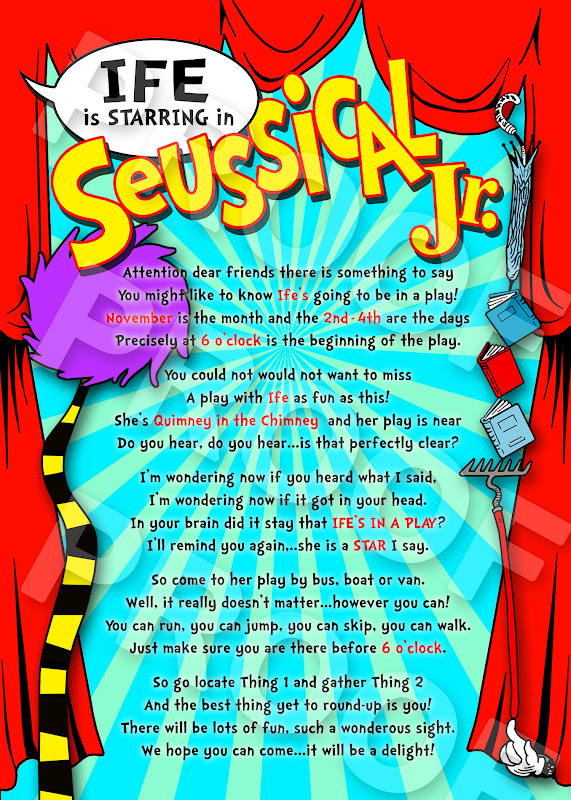 Her daughter is going to perform in Suessical Jr., where young performers portray characters from the familiar Dr. Seuss fables. 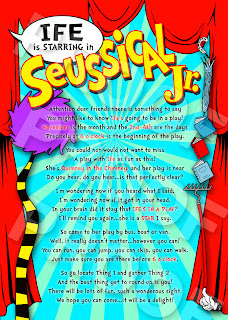 She wanted a special invitation to send to friends and family inviting them to come see her daughter star in the play. Here is the invite that I designed for her special event. If you need a custom invitation designed for a special event in your life contact Paper Perfection at jtanddolly@yahoo.com for pricing and details.